THIS month there is a rare opportunity to cruise up or down the 23 locks on the Chesterfield Canal known as the 'Giant’s Staircase'. This is between Shireoaks and Kiveton Park, and are the Turnerwood and Thorpe flights. 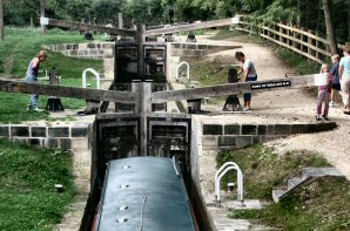 They include some of the oldest staircase locks ever built, with 20 locks in one mile including two doubles and two treble flights. The cruises take place on Saturday 27th April, when Chesterfield Canal Trust’s trip boat Hugh Henshall will cruise up from Shireoaks to Kiveton Park. The following day, Sunday 28th April, it will return to Shireoaks, with both trips starting at 10.30am. These one way trips will take about 4½ hours and cost £15 per head. Afterwards passengers will need to make their own way back to their transport, either by walking (3½ miles) or using the train (four minutes). Both Kiveton Park and Shireoaks stations are a one minute walk from the canal. Hot and cold beverages will be available for purchase on the boat and passengers are advised to bring a packed lunch. The boat will have short stops at Turnerwood on both journeys.